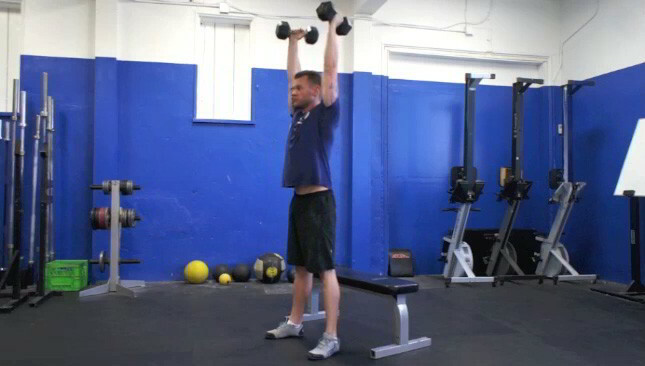 The dumbbell shrug is an upper body strength exercise that targets the shoulders and traps. 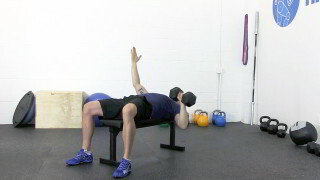 The seated dumbbell shoulder raise is a beginner level upper body exercise that targets the shoulders. 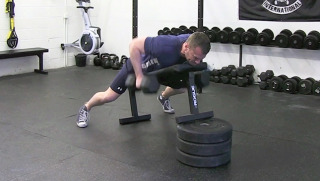 The bat wing dumbbell row is a beginner level Dan John exercise that targets the mid back specifically the rhomboids. The cross body hammer curl is a beginner level strength exercise that targets the arms. 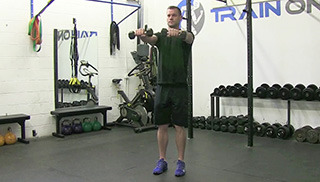 The beginner thruster is a challenging compound exercise that targets the shoulder and legs. This exercise is suitable for all fitness levels. The dumbbell press with bridge is a challenging exercise that targets the shoulders, chest, arms, hamstrings and glutes!